Are you ready to learn a very, very easy recipe? 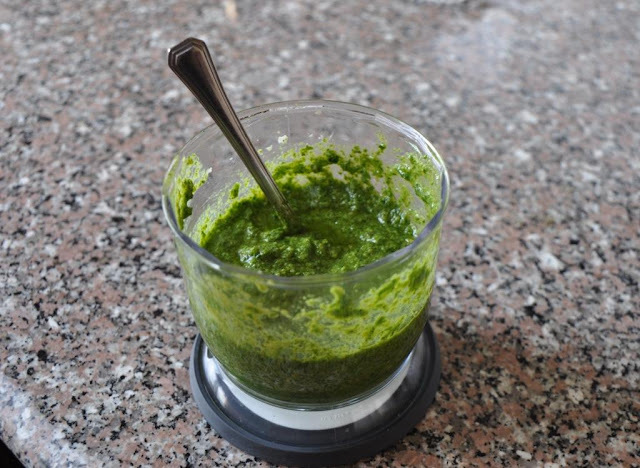 Preparing pesto is one of the easiest things ever, you will actually be amazed at how easy and simple it is!! Process garlic and pine nuts in food processor. Gradually add the basil and part of the oil and process until mixture is smooth. Mix in remaining oil, salt and pepper with a spoon. You can do this step ahead and store in an airtight container in the fridge for up to one week. Bring water to boil, add 1/2 teaspoon salt and 1 teaspoon oil. Cook pasta, uncovered until just tender. Set aside 1/3 cup of the pasta water before draining the pasta. Combine the pasta with the pesto sauce and the pasta water and toss. Add the Parmesan cheese and toss gently. Pour in serving dish, sprinkle with Parmesan cheese. 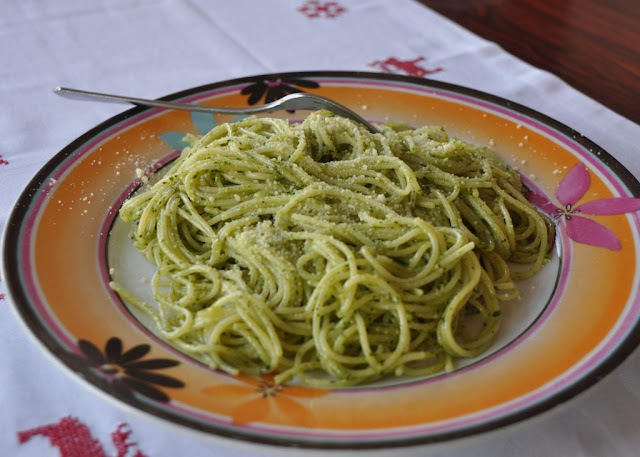 Hope you enjoyed today's easy recipe: Pesto Pasta. Bon appetite.